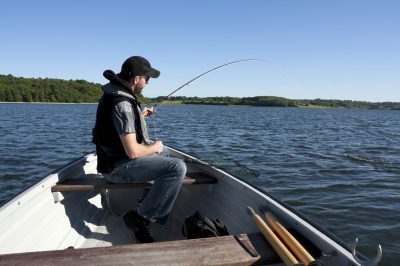 A freshwater angling guide is an outdoor adventure guide who organizes and conducts fishing expeditions. They can either operate their own small businesses or work for adventure tourism companies, resorts, parks, lodges or campgrounds. They might take clients for a day trip or for longer expeditions. Standard first aid and cardiopulmonary resuscitation (CPR) are usually required. National Occupational Certification as a Freshwater Angling Guide is an asset.